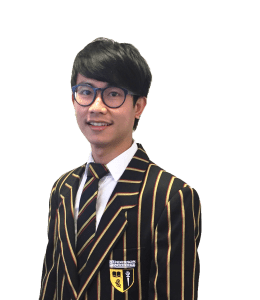 International Student Wataru came to New Zealand from Kobe in Japan in May 2017 and is currently in Year 11 and undertaking NCEA Level 1. He has settled in well to school, making many New Zealand friends, and is particularly enjoying his science lessons. Wataru is a conscientious student who works hard in all his subjects. 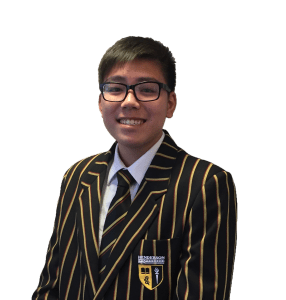 He is building a good vocabulary and his English is improving, and he is fully immersing himself in New Zealand culture by also studying the Māori language at school. If Wataru needs help with homework there is always someone to help him in his homestay family, either the three other children in the house or his homestay mother who is a teacher. Wataru likes his homestay family and they often go to the mall or go out walking together. He also commented that the house is nice and he likes the food! 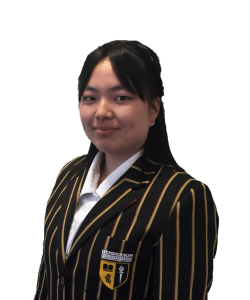 International student and Prefect Sherry Zhang feels at home at Henderson High School, which she has been attending since she came to New Zealand from Shanghai five years ago. 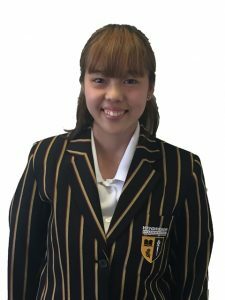 She settled in easily, learning English and making many New Zealand friends, and has immersed herself in school life, being selected as a student leader in Year 13. 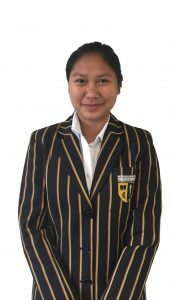 Sherry’s academic results are exceptional, gaining NCEA Level 2 endorsed with Merit in Year 12, and also passing NCEA Level 3 in the same year. Her favourite subjects are Calculus and Statistics, and Sherry is also involved in playing badminton for the school. Sherry likes her homestay family; she lives close enough to school for her to walk every day. 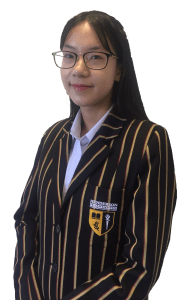 She has been with her homestay family for the past three years and is looking forward to attending Auckland University in 2019 where she plans to study Business. 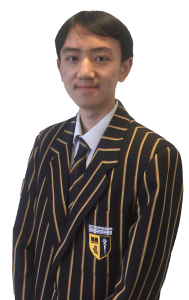 Prefect David Wang is an academic high achiever, with Excellence and Merit endorsement on the assessments he has completed so far this year. 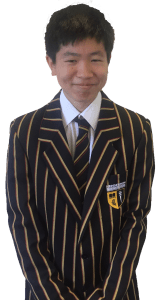 He is studying Level 2 NCEA this year and also challenging himself by studying Level 3 Calculus, which is his favourite subject. 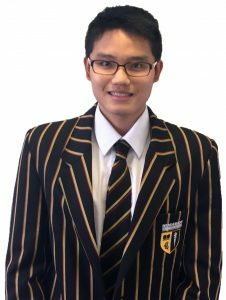 He has a strong technical focus, studying Physics and Chemistry as well as Calculus, and would like to carry this through to his New Zealand university study. David is enjoying the lifestyle in New Zealand since coming here from Beijing in July 2017. 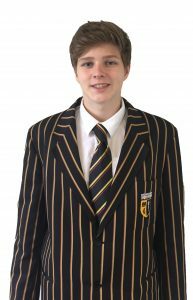 He played the trumpet in Primary school and has been able to take up playing again after some refresher lessons; he is now an active member of the school Big Band and Production Band and is involved in this year’s stage production. David also plays badminton for the school. David has found it easy to make friends at Henderson High School. He likes his homestay family and lives close enough to walk to school. Before I came to New Zealand I looked on the internet to find a safe country where I could study and learn English. I wanted to be at a small school so I would not feel lost in the crowd and it would be easier to fit in. My family were happy that Henderson High School has strict rules about behaviour and academic expectations so I was enrolled. Auckland has many cultures so I would feel included. I feel that my English is getting better already and the ESOL class is helping me become more confident in speaking. I am studying Philosophy and PE for the first time and will be going on a day trip to the Auckland Art Galley with the Philosophy class. In Japan for PE we play sport but in New Zealand we also learn about the theory and our body. I have joined the school hockey team. My homestay family is busy with two small children who are lots of fun but a little bit noisy, it is just like normal family life. We go to play netball at the weekend and enjoy lots of different kinds of food like yummy nachos and spaghetti bolognaise. After high school I would like to enrol for a business degree. To anyone considering coming to New Zealand to study I would just say “Try it, or you will never know what you can do”. My family wanted me to come to New Zealand to study because my uncle told us New Zealand has a good education system, the schools are modern and the air is clean and healthy. I started at Henderson High School in July 2016 and am working towards NCEA Level 1. It is my first time away from Cambodia. I live near Henderson High School with my uncle and the rest of the family and we go out to visit nice places and friends at the weekends. This is good for me because I can still enjoy the Cambodian foods that I like. go to ESOL class which has helped to improve my English. I want to become a chef. The other students and teachers are friendly to me and I have made a friend in class. I enjoy my life in New Zealand but miss my motorcycle because I am not allowed to ride one here. Henderson High School is a good place for me and I like the extra activities like the Talent Quest which was held recently. My family and I chose Henderson High School because our friend had studied there in 2013 and recommended it to us. He also helped us arrange for the same homestay family he had lived with who are very kind and have a lovely home near school. I have been there nearly one year now and really like it. The meals are good and my room is warm and comfortable. When I want to go out I can find my way around using Google maps and the bus information, but I usually walk to school. The school system in New Zealand is different from my home in Macau, with less subjects and more holidays. Here I have five subjects for one hour each day plus ESOL class to improve my English. My family and I think that I am making good progress, which is important for my future plan to become a teacher. At Henderson High School we move to another room for each subject during the day so we don’t have to sit in the same place all day. It is helpful that I have a teacher who understands Cantonese. I would tell any student considering studying in New Zealand to try Henderson High School. Everyone is friendly and helpful. We have a special room for International Students for meetings and lunch with our friends and to get any information we need. I came from Cologne in Germany for one semester from January 2016. To begin with I was living in a homestay but then I made friends at school and was invited to live with their family. I have a lovely host mother and really like living there. I came to New Zealand mainly to improve my English and learn about the country. I have enjoyed the different subjects I could choose to take here like Product Technology and Hospitality because they are more practical options. However my favourite subject is Physical Education because I love playing in the school Basketball team. Playing a sport here is a great way to quickly meet people and make friends. I enjoy joking with them and they are interested about what life is like in Germany. Besides school I spend most of my time with my friends and playing basketball, basketball, BASKETBALL! At Henderson High School I have noticed that there are NCEA assessments all through the year so students know how well they are likely to do before the end of the year. It is a quite different from how school works in Germany, which is where I will be finishing my study. Soon I will be going home and have lots of good memories to take with me! I came from Iloilo in the Philippines in January 2014. I had heard that NZ was a peaceful country and it really is true! On my first day at Henderson High School the other students welcomed me even though I was really quiet. I soon found out that the New Zealand school system called NCEA is very different to what I was used to but I am on track to achieve my Level 3 certificate in year 13. It made me happy when people asked me about my home country because it showed they were interested and accepted me. Sometimes I teach them words in my language in return. In the Philippines there were limited computers at school so not everyone could learn but here we are more advanced with Wi-Fi and plenty for everyone and we are all treated equally. I really like all my teachers and would rate them very highly – 9/10! They always are there for me if I need help. I really enjoy Design class and I am learning to use Photoshop to make magazines and posters. I live with my uncle and aunt from the Philippines. Mainly I spend my free time going to youth group and my church. I have met lots of interesting New Zealanders there and people from other countries. I am so happy I chose Henderson High School and am proud to be at a good school. This is the place for me. If you come to Henderson High School don’t let shyness hold you back, come out of your shell and make friends! I really enjoy how we learn in New Zealand. Henderson High School is very engaged in technology which means we do more online. In Vietnam the teacher is at the front of the class, and talks, and you must take notes. Here the teacher helps the student do the work themselves. It helps you to become more creative, and gets you to think independently. I always knew that I wanted to work in hospitality and tourism. I’m surer than ever now that I have come to Henderson High School. They have a great hospitality class and my cooking skills have improved a lot. It was confusing at first having to move to each new class but I am used to it now. I’m very social and I really want to be able to understand the “in jokes” that my friends have. It makes me very determined to get better at English. My friends are helping me to improve and they never laugh if I get it wrong. I’m developing my interest in photography as a hobby, and am doing a Photoshop class after school. I also play badminton. On the weekends, my homestay family takes me fishing, and although I like to cook fish, I prefer someone else to do the catching and filleting. It’s a bit smelly! My homestay family are very funny and friendly people and love outdoor activities. We have good facilities in our International Students room and it is warm and comfortable. We use computers in class for on-line learning with Google Classroom and it saves lots of time writing out notes. Everyone is helpful and the teachers are great. There are lots of activities at school to try, including lunchtime events like EXO Day. After I finish NCEA, I aim to stay in New Zealand to further my studies in hospitality and tourism. I chose Henderson High School because it offered a good sports programme, and in Japan I’ve played a lot of different sports. Right now I’m doing a lot of running and am getting really fit. I’ve never done so much running before. We have the Cross Country run coming up and I hope I do well. I wanted to come to New Zealand because I heard a lot about it from my sister (I was a little bit jealous of her experience!) My English has improved a lot since I came and it makes friendship a lot easier. Right from the start the people here have been lovely, and so it’s great now that my English is better, we can communicate more easily. I really enjoyed our tour of Auckland. Now I feel very comfortable visiting the city with my friends at the weekend. But what I most enjoy is indoor rock climbing! What’s most important for me is the teachers. I plan to go home to Japan to study English at university. I’ve been lucky to have a great English teacher, who has helped me a lot. Recently we all had to do Public Speaking, and I gave a speech about my life in Japan. I used a lot of pictures to help my classmates understand my life back in Japan. They enjoyed it. The New Zealand way of teaching is very different, and I like it a lot. NCEA is hard, but I passed Level 2 and am working towards Level 3. My host family are like a real family to me, we know each other really well and do lots of things together. My daughter Irene Yap Kai Gin has recently successfully completed her final year at Henderson High School with remarkable results. As a parent, I am very pleased with the quality of teaching that Henderson High School provides in every aspect of my daughter’s life – from social and life skills to academics. The way the teachers nurture and invest in the students’ growth is something I will always be grateful for. I can honestly say that Henderson High School has provided my daughter with high quality education and discipline. The highly qualified teachers are excellent and the classes are small enough to allow the teachers to give individual attention to the students. Here I must give credit to the dedicated International Students coordinator, Mrs Paula Hart. She really looks after and takes personal care of the students. I want to thank her personally for the kind efforts and help she has given me to solve any problems my daughter faced. My experience tells me that I have chosen the right school for my daughter and I would not hesitate to recommend that the parents of International Students send their children to Henderson High School, which provides the highest quality education. Finally, I would like to thank the school for what I consider is the wonderful time my daughter had during the past two years.